PORTLAND, Oregon, March 6, 2014 – SSOE Group (www.ssoe.com), a global engineering, procurement, and construction management (EPCM) firm, announced today that “Successful Business Process Management: What You Need to Know to Get Results,” a new book by SSOE Quality Manager Paula Berman, will be published this spring. A 15-minute podcast featuring an interview with Berman will accompany the release. Process management serves as a structural framework for streamlining activities and creating smooth workflows. “Successful Business Process Management: What You Need to Know to Get Results” explores the often bewildering world of process management and offers an accessible overview of the field. Step-by-step instructions explain how to overcome resistance to standard procedures, take a systematic approach to process management, design and document key processes, roll out changes, and embed them in an organization for reliable outcomes. “It can be difficult to find training on process improvement,” explains Berman. “There are a number of tools and methodologies on the market, but first and foremost, you need to understand the basics of how processes and procedures work and how they link together into a system.” Berman’s book demystifies the field of process management and demonstrates how a well-developed but not overly rigid program of documented processes and procedures can achieve high levels of quality and productivity—and generate an outflow of continuous improvements to drive long-term success. 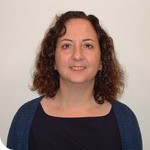 Paula Berman, ASQ CMQ / OE, earned her certification as a Certified Manager of Quality and Organizational Excellence (CMQ / OE) from the American Society for Quality (ASQ). This certification signifies an individual’s commitment to quality through leading and championing process improvement initiatives with regional or global focus in a variety of service and industrial settings. In her role as Quality Manager at SSOE, she is responsible for the integration of quality into the design process by problem solving and data collection and analysis. Paula also manages certain continuous improvement initiatives and assists in executing tasks that are part of SSOE’s overall corporate knowledge management program. A Six Sigma engineering black belt and a Certified Quality Analyst, Berman has lived and worked in the US, Europe, and Asia in the semiconductor, aerospace, and Internet industries. She has led, mentored, and participated in a wide variety of quality, Six Sigma, and lean projects to increase productivity, reduce waste, and improve time to market. Berman received her bachelor’s degree in mechanical engineering from the University of Pennsylvania and master’s degree in physical science from the University of Houston. She is a Quality Manager in SSOE’s Portland, Oregon, office and has more than 25 years of experience. Berman’s book will be released on April 23, 2014. The book will be published by AMACOM (New York, NY), the book publishing division of the American Management Association. For more information or to obtain a copy of the book, please visit: http://www.amazon.com/Successful-Business-Process-Management-Results/dp/0814434010 or http://www.amacombooks.org/book.cfm?isbn=9780814434017. SSOE’s Quality Processes and Systems department is responsible for oversight of the Quality Management System, maintaining ISO 9001:2008 certification, managing Continuous Improvement initiatives and directing the corporate Knowledge Management program. Each of these areas supports SSOE’s Vision to be the firm of choice by clients and employees. To achieve this requires policies, processes and a company culture that is oriented to client and staff happiness.